I need sheep! Lots of sheep. An uncountable number of sheep. Is there even such a thing as an uncountable number? The concept is too complicated for me to ponder upon after a sleepless night, but I would like to launch an appeal: would my readers kindly send me a few sheep? Now, I don’t have an uncountable number of readers, but I do have a few, and if each of them sent me one sheep, I think I would have more than enough. You might wonder what I want to do with all the sheep, and the answer is, I want to count them of course, duh! With two chairs and a broom I have already built a little fence at the foot of my bed, that the helpful creatures can jump to their hearts delight. They will be the fittest sheep ever, because I can’t sleep very well these days – make it weeks – actually, make it months; it seems like I can sleep soundly only on my bench, but that’s 20 km away from my flat, plus has been unreachable all winter long because of the snow and it’s currently underwater because of the floods, so I can’t really depend on that. I have also tried all the natural remedies I could find, including no caffeine in the afternoon (hello zombie!) , long hot baths before bed (managed to faint but not to sleep), herbal pills (repeat as a mantra “this smells like ripe cheese, NOT like unwashed feet”), no arguing with my bed partner (Mr. Pillow was very understanding), but nothing. So I am going for the ultimate remedy: counting sheep! The sheep need to be as non-descript as possible, so if my insomnia proves an especially hard nut to crack, I can put them on rotation and it will work better if I can’t tell one from the other. So just your basic, fluffy, white sheep, I hope you can spare one or two? Also I would like them to be a cheerful bunch – err – flock, because, did you know? Sheep can get depression, too. It usually happens when they lose a lamb, the poor things – the Internet is full of sad stories of mothers grieving and not eating, and stinking (I guess it makes sense – depression stinks), and losing all their wool. However, I know very well that depression can strike with no warning, and I’m not one to abandon a companion only because she’s not funny anymore, so I have done some pre-emptive research, and luckily I have discovered that if one of my previously cheerful sheep falls pray to depression there is a cure. According to a forum I visited, the somewhat surprising remedy consists in clothing the mournfully bleating and now naked sheep in a green polo neck jumper. The reason why the colour must be green is pretty straightforward: green is the colour of mental health awareness. But the polo neck is a matter of some debate. You could argue that this is a nod to the Marco Polo sheep breed, a species that lives wild and in the mountains of central Asia and that boasts the longest horns of any breed of sheep, probably making its representatives an object of admiration among sheepfolk and thus a source of inspiration for the depressed sheep; or that it is a reminder of the peculiar Kyrgyz version of horse polo, kok-boru, which consists in using, instead of a ball, the headless body of a sheep. Euh… yes, thank you, Helpful Person, and that should make me ecstatic, I guess. I was never sure why I should rejoice at the misfortune of others, probably something along the lines of “better her than me”??? But back to the sheep. Could you ship me a sheep (that’s terrible, I know – but have I mentioned that I was up all night?)? Pretty please? With sugar on top? Last night something momentous happened. The BT was online in the dead of the night and I thought that maybe he was feeling lonely, too, or at any rate he would be very tired and unable to think too clearly, so I thought there might be a slight chance that he would reply to a goodnight star. Also because he knows that I send a goodnight star only right before logging off and going to bed, so there’s no risk of me jumping on the chance to – the horror!! – ask him how he is doing or even suggest coffee. He seems to have decided that my allowance is exactly one word a month, and replying to a goodnight is probably the safest option for him, so I thought I might tempt fate. I gathered my nerves, which were lying haphazardly on the floor (a couple had rolled under the furniture and it was a drag to get them out, but in the process I found a bracelet I thought I had lost and also, surprisingly, a teapot), then tied them up nicely with a ribbon, conjured a little star in the chat window, took a deep breath, took another deep breath, took a third deep breath, told myself to stop taking first, and second, and third deep breaths or I would go into hyperventilation, and hit “send”. For a split second, Time Stood Still. Then Time thought, “What am I doing here, standing still”? She blushed and with a little embarrassed smile she checked if anybody had seen her standing still so foolishly, and hurriedly sat down. And yet – darn. Good. Night. Two words!!! And since I’m only due one word a month… there goes my allowance for TWO WHOLE MONTHS! Now I’ll have to make do until the 28th of JULY! Stupid Blasted Thing, it is GOODNIGHT! One. Word. A serious post for a change – because some kind souls have bestowed me with a Versatile Blogger Award and I felt my blog wasn’t really versatile enough to justify that – so I versatilised it! I used to like cooking when I was still alive, so I chose to do recipes. I hope I don’t win any weird blogger award next, like the Irish Blogger Award which would compel me to become Irish – although admittedly that would be gas. I am not a nutritionist, but I have done some research, plus it’s not like I was advising people to eat some weird diet consisting entirely of ugli fruit: just common sense, really. And no, of course you can’t snap out of depression just by eating the right food: but a post needs a catchy title and Ideas for Meals That Are Supposed To Help With Depression, But Don’t Expect Miracles just didn’t have the right ring to it. So, I have been doing some reading and I have found out that a decrease or increase of appetite is a common symptom of depression. For me, it meant I completely lost my appetite. I used to feel vaguely hungry at first, and yet I didn’t really feel like eating anything, so I didn’t bother. Now I never feel hungry anymore, and I think I could go on indefinitely without eating; indeed, this might confirm my theory that I have died sometime around the end of January. Then I did some more reading and discovered that depression is linked to a lack of some nutrients, notably B vitamins, omega 3 fatty acids, magnesium, selenium, complex carbohydrates and antioxidants. So I came up with a few ideas for meals rich in these magical ingredients. Very simple ones, since who could be bothered with real cooking anyway? Dear Nutritionists, with your suggestions of organic meals made from ingredients bought directly from your local farmer and harvested from virgins under the full moon, and then minced, diced, sliced, sauteed, broiled, baked, boiled and artistically arranged on an ancient china plate bought at a fleamarket in Paris: when you have depression, some days it is already a big success to be able to get out of bed and drag yourself to your local supermarket. You can happily unhappily starve in your flat and the only one who will realise is your landlady when the money in the bank has run out. And the last thing you want is a bathtub full of dirty dishes and pots. So keep it simple, thank you very much. Cook a handful of leafy spinach in until rather dry, and then chop them; while they cool whisk two eggs with salt, pepper, and a tablespoon of grated parmesan cheese. Add the spinach to the eggs and cook it all in a pan. You can use practically any kind of legumes: the more, the merrier. If you use dried legumes, soak them in cold water through the night; if you use fresh or canned you can cook them straight away. Sauté chopped onions in a bit of oil; then add two cups of legumes and eight cups of water and let it simmer for about one hour. You can also add tomato paste and herbs or spices like rosemary or chili pepper, and of course a bit of salt. 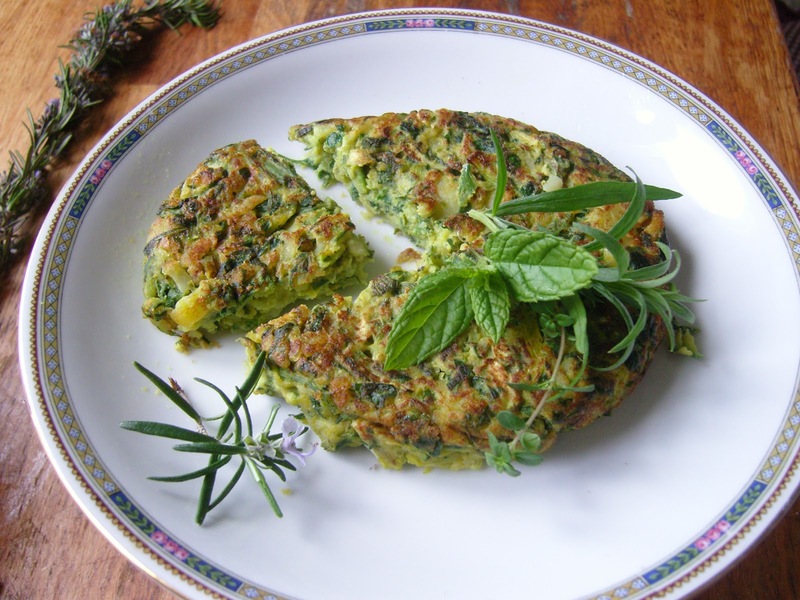 Serve with grated parmesan cheese and olive oil. Boil the brown rice and sauté it lightly with sliced almonds and a little butter. Meanwhile, cook the salmon in a pan with a little butter. Serve the salmon with the rice as a side dish, or mince the salmon and serve it all together. Steam or microwave the cauliflower, then mash it with a bit of butter, salt and pepper. You can use lots of different veggies; for example, broccoli, carrots, cabbage, beans, but anything that can be cut in suitable pieces and won’t get mushy will do. Ideally, you should try and choose vegetables that have a similar cooking time. You can serve it mixed with diced lean meat (B vitamins, selenium) – you will need to sear it beforehand, and only add it to the veggies at the very end, nuts (magnesium), and brown rice or barley (complex carbs) – also boiled beforehand, of course. Ok, this is not a recipe. Hm. Low fat yogurt with bits of dark chocolate? Do we really need to JUSTIFY eating chocolate? Smoothies: throw any kind of fruit in a mixer; you can also add a little yogurt if you want it creamy. I suggest peaches, apricots, berries, citrus, kiwi and bananas, which are especially rich in antioxidants and folate, but anything goes here, really. I got another award! 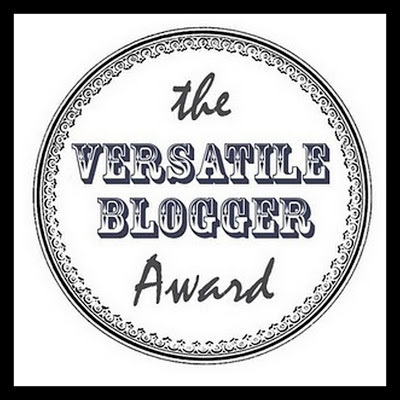 This time it is the Versatile Blogger Award, and I have been nominated by both Eros & Psyche and shoe 1000 – thank you so much! Does that mean that I will receive TWO trophies, I wonder. I hope they are not too cumbersome. The name seems to suggest that at least at the beginning this was supposed to be meant for bloggers who write about different topics, and actually, I try to keep my blog more or less focused on the funny side of depression, so for example I don’t include my most tearful writings, also because inspiring my readers to jump off the nearest cliff would be rather counter-productive. However, to give myself at least a semblance of versatility, I have written a totally unfunny post about recipes, and no, it’s not recipes for disaster. 4. Pass the award along to 15 favourite bloggers. Contact the chosen bloggers to let them know about the award. 4. I like taking photographs and making jewellery. Neither of these hobbies of mine has anything to do with pistachio. 5. I could ride my bike forever. Just go on and on and on and never come back. Perhaps some day I will do just that. 6. I have once taken a Klingon language class. 7. I can touch my wrist with the thumb of the same hand***. And the 15 blog recommendations, in random order – you will see that there’s a bit of everything, don’t be afraid it’s just depressing stuff and check them out! 6. How Do You Eat An Elephant? 9. It’s Not Just Me, Right? So here it is! Thanks again! I want to be plural! “We are going to the cinema, care to come?” “We don’t know yet where we are going to spend the hols.” “Repairing the heating cost us a fortune”. People talk about themselves in the plural form, and I always feel a pang of envy when they do. It means they have somebody they can count on, that they are a part of someone’s life. Just my luck, by the way. The only person in my life who is singular is the chimney sweeper, who’s clearly the only one in his trade who doesn’t have a magical nanny with whom to dance on the roof, so he can actually do his job which consists in getting me out of bed at an unholy hour just to tell me that I will need to starve myself in order to be able to save enough money to pay for the privilege of not suffocating. So, only my chimney sweeper and I are singular, everybody else is plural. I wish I could be plural, too. All the while still wishing I was singular. 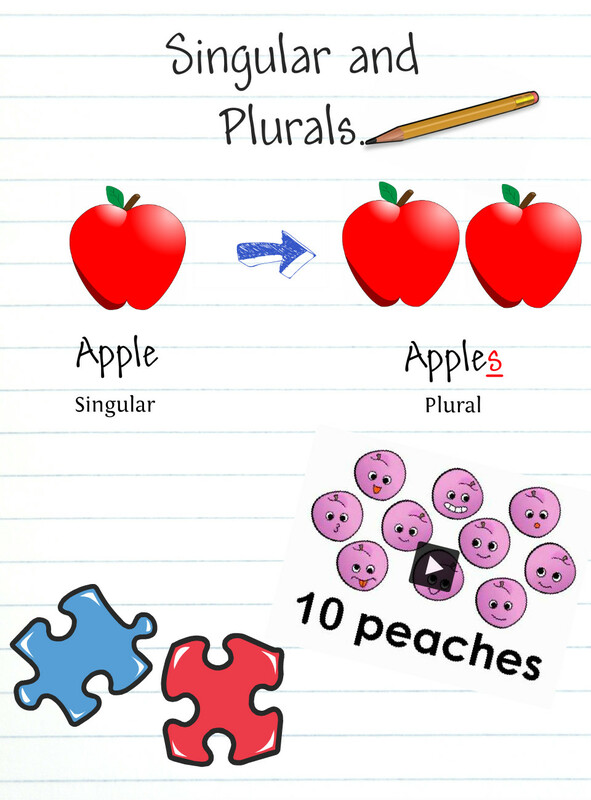 Actually, I think I need a language where there’s no distinction between singular and plural. I have heard Japanese might do the trick? It looks like I am developing a phobia for grammar; which by the way has a name (it’s called grammatophobia) and yet doesn’t seem to be a legitimate phobia, so I couldn’t research how this typically works and evolves. I might be the first person affected, ever. Will this keep to singular and plurals, so I could really solve it by adopting a language with no distinction? Or will it extend to other, more or less random, grammatical elements? Perhaps an urge to punch in the face anybody who shows off with a particularly elaborate construction? And how to make the difference between a normal reaction (anybody would be slightly tense when faced with a past perfect subjunctive tense) and a pathological one (like crossing yourself every time you encounter a cardinal number)? And will this stay limited to grammar, or will it invade other domains? I wouldn’t be surprised if I started being pissed off at even numbers – I’m always the odd one out, while everybody else comes in pairs. The number 1 is depressing in itself. So will I end up having to buy at least three of anything? Three shoes, three gloves, three watermelons? And what am I going to do with three watermelons anyway? 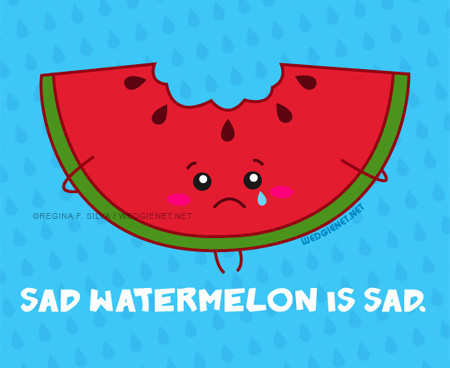 I don’t even like melons, plus according to The Internet, they might be depressing. Or depressed. And shady. Definitely very shady. And possibly on drugs? turn: terrible, do not eat watermelon, and depressed!!!!!!! 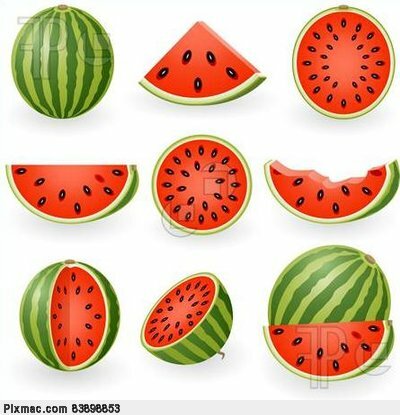 Hot summer, eat a sweet red watermelon, both hot weather and thirst. When people of this natural fruit cooing when, who thought of commitment, these red and sweet watermelon, melon actually Meixin traders to earn money, injecting saccharin and coloring the water cooked out of it! Yesterday, a melon trafficking, told reporters this one blew the whistle on shady. I want to be singular! People have an annoying habit of referring to me in the plural form. I first noticed a few months ago: I happened in the area where someone I know had opened an Italian restaurant some time previously, and I decided to drop by and say hi. I found him much changed. Not only he had taken to making sushi: he had also grown distinctly Asian features. I wrote him an e-mail to inquire about this puzzling turn of events, from my own e-mail address, signing with my name only, with such formulations as: “*I*happened at your restaurant…*I* wanted to say hi…*I* was surprised to see that…” and he replied soon afterwards: “Dear friends, you (plural) are always so kind, thank you (plural) for your (plural) concern. I leased the place to a Korean cook) [mystery solved! ], but I will be sure to tell you (plural) immediately when I open a new place”. Huh? Once alerted to the peculiar phenomenon, I realised that this happens all the time. People inviting *us* to events. Asking me how *we* are doing, how *we* spent the holidays, what plans *we* have for the upcoming weekend. I am puzzled. Have I developed multiple personalities without realising? Is my guardian angel suddenly visible? Is that a covert way to imply that I am fat? Do I look like the Pope? Or am I really the Pope? Could I be the first atheist Pope in the history of the Church? What were the good old Cardinals thinking? Well, breaking news! I am not her! She’s not me! I am not we! She is not us! We are not you! You are not him! Him who?? When they go all plural on me, or ask me to do things like relaying a message or giving her something, I politely tell them that I have no idea of what’s going on with her, and that they should contact her directly. She seems to have chosen a completely different approach: when people ask her about me, she simply makes things up. That brings about interesting situations, like something that happened last Sunday: I had an ice cream with a common acquaintance, and when I left to go home he observed that I was going in the same direction as always. He found that very surprising. I found his very surprise very surprising. Huh?? He explained that my FBFF had told him I had moved flats, and I should have told him, he would have been soooo happy to help. I evilly replied that I haven’t moved, but that I want to and I am very grateful for his kind offer and will make sure to contact him when the time comes. He turned slightly green at that. I wonder why, perhaps the ice cream had disagreed with him? Anyway, I would like to use this opportunity to launch an appeal to all my friends and frenemies, none of which know about this blog, so my appeal will wander aimlessly through cyberspace like a message in a bottle, and will be retrieved in fifty years or so by a young and rather cute journalist who was actually looking for something about depressed kittens, and he will come to the very old me for an interview, and I will brew him a steaming cup of tea with actual crushed dried leaves, and he will find this very quaint and will ask me where you can still buy the leaves and not the usual concentrate or a powder, and I will tell him that I had grown it in my garden, and he will love that and start planning in his mind a series of articles about the way you used to do things in the good old times, and he will ask me how did I manage to grow tea in this climate, and I will reply “Oh, but this is not actual tea, my dear”, and cackle evilly and later dispose of his body in the tools shed. But I digress. So here is my appeal: Dear grammar debauchers, there is a reason why most languages have evolved a singular and a plural form, and it’s a perfectly good one! And no, it wasn’t to provide teachers with a further torture instrument – although that might indeed be the case for irregular plurals. So, use wisely and correctly this wonderful option given to us by the Gods of Grammar! Thank you very much. We have spoken. Anonymity breeds Acronymity, and people might get confused as to who’s who, so I thought I will make a little list of characters of my little drama, to be expanded as necessary. BFF, or FBFF: my Former Best Friend Forever. To anyone who might think these are teenagers’ squabbles: we are both forty years old, give it or take it. Wise and mature. So this is my best friend of twenty years, the one who used to say that friends will help you through, but neglected to specify that by that she meant that friends were there to help her, not the other way around. How forgetful. BT: the Blasted Thing. The man of my life! As luck had it though, I am not the woman of his life. Not because of another woman. There was no one else. He used to say he was too set in his bachelor’s ways, and then went for the first thing who would have him. So he did wish for a relationship, and yet he’d rather be alone than with me. How flattering. Follow me everywhere! Or keep it to Facebook. Dunno where I’m going, but follow me anyway! Were you looking for something specific? Depressed Chickens perhaps?